"Chinese Bull" & "Chinese Bull with Chinese Farmer"
These "Chinese Bull" and "Chinese Bull with Chinese Farmer" sculptures are currently in bronze resin. They can be purchased either in bronze resin (as unlimited edition artworks) or in bronze (as limited edition sculptures - one of a series of 8). 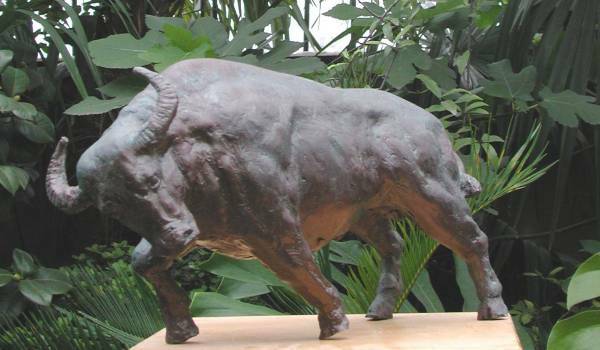 The "Chinese Bull" as well as the "Chinese Bull with Chinese Farmer" sculptures can also be commissioned in any size for a private garden or public space. 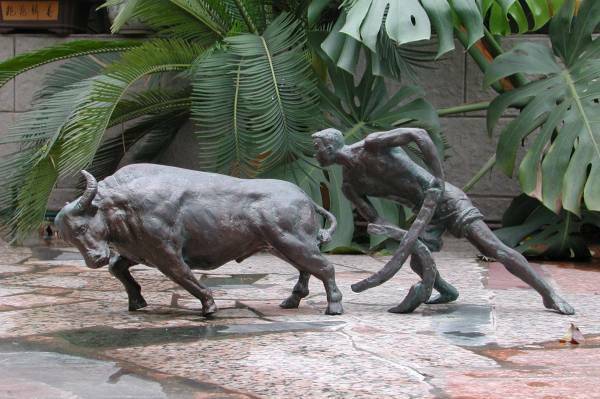 Title: "Chinese Bull" and "Chinese Bull with Chinese Farmer"